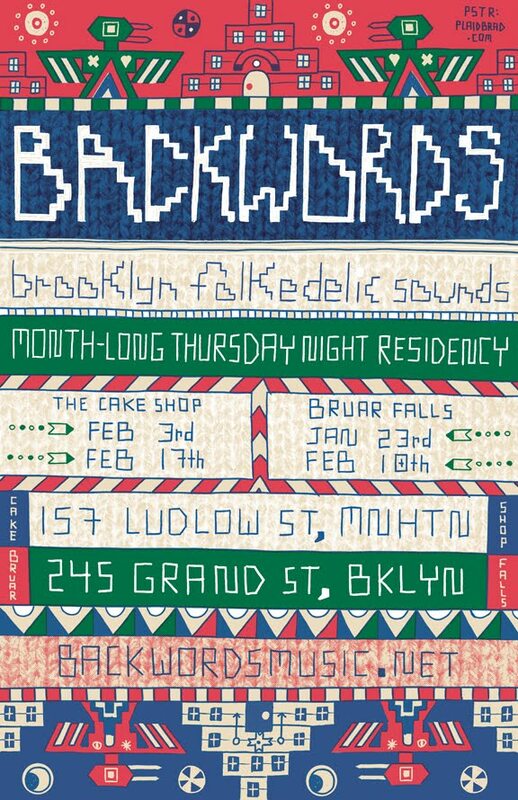 I was recently commissioned to make a poster for my buddies Backwords up in Brooklyn. 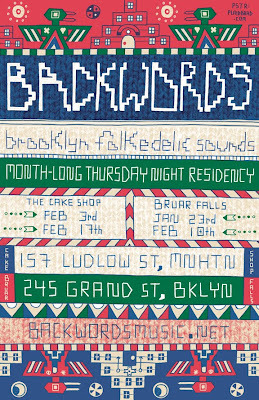 This time around it is for their month-long Thursday night residency at The Cake Shop and Bruar Falls, in both Manhattan and Brooklyn respectively (I assume they're owned by the same people). The poster itself is based off of various textile designs from Peru and Mexico. 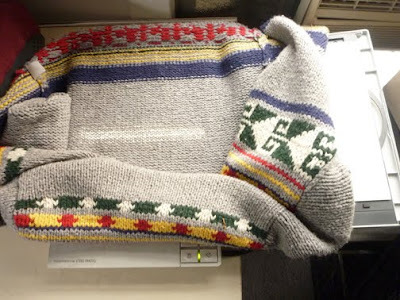 I scanned my favorite sweater and used it as a subtle texture in the poster, as you can see in the detail shot above, to switch things up a bit. 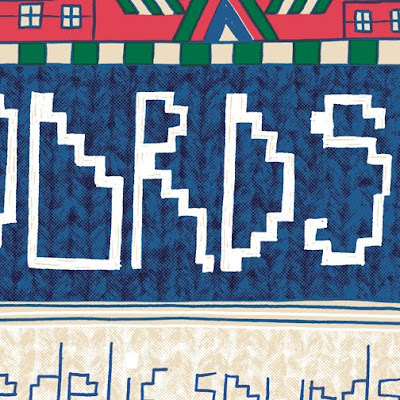 this is quite the poster bradford!